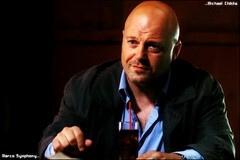 Michael Chiklis in American Horror Story: Will He Be the Geek? The news that Michael Chiklis is now a member of the regular cast in American Horror Story season four, titled Freak Show, brings one question to mind; will he be the geek? Of course, the type of geek being portrayed in a television show about a freak show, will not fit the modern “definition” of the word. Being a geek now entails being a cross of eccentric overly intelligent individual and an expert in any given area. Author Mike's Film TalkPosted on March 29, 2014 Format LinkCategories EntertainmentTags American Horror Story, Carnies, chickens, Circus, Dennis Quaid, entertainment, Freak Show, Geek, mafioso, Michael Chiklis, Side Show, Television, VegasLeave a comment on Michael Chiklis in American Horror Story: Will He Be the Geek? The 2009 film Horsemen, written by David Callaham and directed by Joss Ackerlund stars Dennis Quaid, Ziyi Zhang, Lou Taylor Pucci and has a tiny cameo by Peter Stormare. 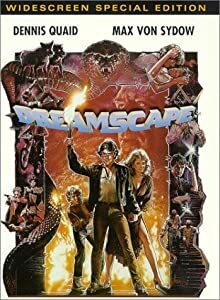 It is a dark, moody, and overall unsatisfying film that does not so much end as run out of steam. 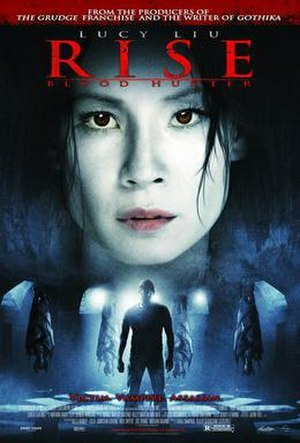 The film’s plot takes far too long in deciding whether it wants to be a supernatural thriller based on the Biblical reference in Revelations of the four horsemen of the Apocalypse or follow the more mundane, but rather chilling device of “normal” people using the horsemen as a reference in their grizzly countdown to a more personal apocalypse. Quaid’s character of the widowed detective, Aiden Breslin is too self absorbed to evoke much in the way of viewer empathy and his oldest son, played by Pucci, is too passively aggressive to be likeable or to care much about. The film is full of too many incidents that have no logical trail to the events. For instance, the significance of the derelict Metropolitan theatre is never disclosed. So that Aiden’s returning to the theatre and the film’s final climatic scenes taking place there make no sense. The apocalyptic theme of the film Horsemen could have used more in the way of an apocalypse with its ending. The climax of the movie was anything but. Unfortunately the lack of a satisfactory ending of the film also carried over into the characters. Ziyi Zhang, often referred to as the most beautiful woman in the film business, was once again put into the part of villain. It seems that Hollywood loves to take popular Chinese actors and make them villains. Ziyi, who leapt to stardom with western audiences with her performances in Crouching Tiger Hidden Dragon and House of Flying Daggers, makes a good villain. If you don’t believe me, just watch Rush Hour 2, but she is ultimately wasted in the role of Peter Stormare’s adopted daughter who embraces the Biblical references for her, and other young people’s, own end. Like the film itself, her character is left dangling at the end with no real closure in the area of her involvement with Detective Breslin. The biggest problem with the film was its almost crawling pace. Everything appeared to moving at the speed of treacle sliding down an incline. 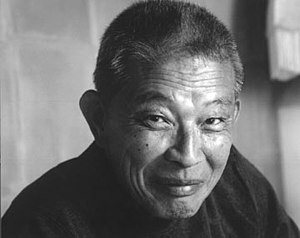 There is no real action to speak of, except hear the end of the film and it is fleeting. A blink and you will miss it both times that it occurs. I had tried to watch this film once before. Being a Dennis Quaid fan, I felt I had to see all of the film. Sadly the ending did not justify the amount of time it took to sit through two, one of which was incomplete, viewings. I have nothing against films that move at a more languid pace. I enjoyed Stoker quite a lot, but the pacing of that film had a purpose, whereas Horsemen felt like it was wandering aimlessly through its storyline and only grudgingly revealing itself now and again. An almost frustrating, if not boring experience. Fans of Quaid, Zhang and the delightful Peter Stormare would do better to avoid this particular film unless there really is nothing else to watch. Not a bad film, but more of a boring one. A rather disappointing effort from all concerned. Horsemen is an apocalyptic film with no apocalypse and little in the way of entertainment. Horsemen is currently playing on the UK Netflix.